The corporate tax rate is now reduced from the max of 35 percent to 21 percent for C Corporations. For pass-through entities the rate is reduced from 40% to 30%. For S Corporations, partnerships and sole proprietorships that pay their business’ taxes through individual tax returns, will now be able to start deducting 20% of qualified business income with limits. Capital spending expensing has changed. There is an increase in deductions for capital spending which adds an incentive to buy new equipment. 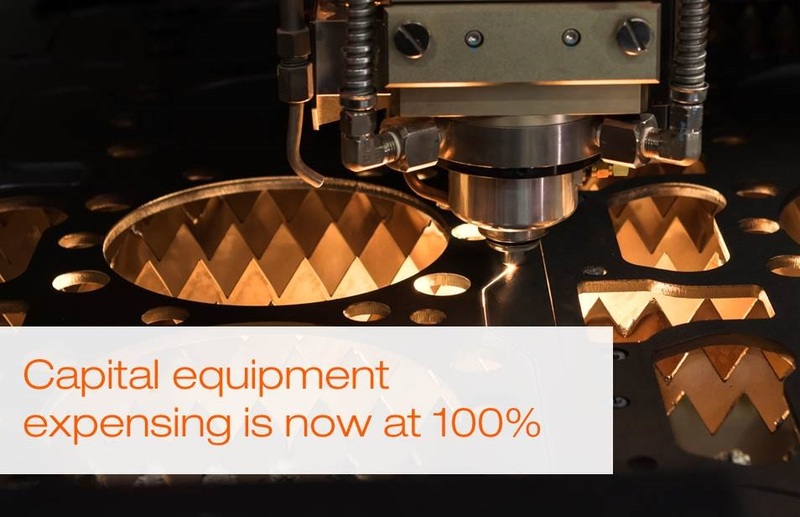 The expensing is now at 100 percent on any capital expenditures for equipment purchases over the next five-years. After that, businesses will still be able to write off that equipment, but it may have a longer life. This simplified tax code allows small businesses to increase investment and ultimately increase growth. With 2/3 of jobs are being created by small businesses, President Trump said, “This [bill] is for people of middle income, this is for companies that are going to create jobs”. 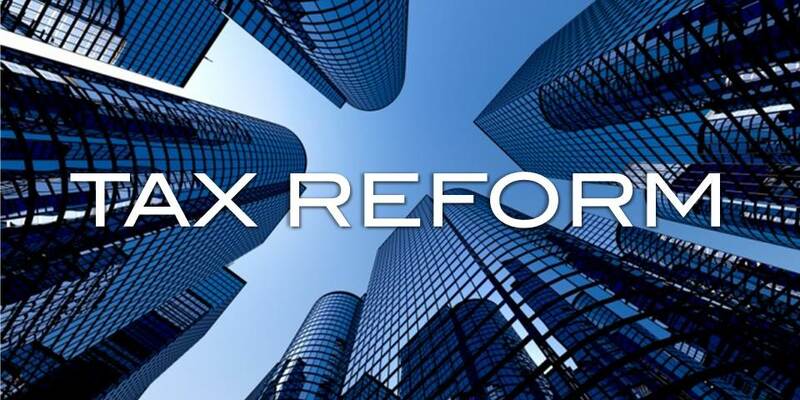 The alternative minimum tax (AMT), which requires many corporations to add back some of these deductions and credits and pay tax on this reconfigured amount, was repealed for corporations but remains for individuals. The renewable energy industry keeps their $7,500 electric-vehicle subsidy and there is also a tax credit for wind-powered production. The R&D credit remains on this law. If fabricators develop new products or process, then the company can take advantage of the credit. There is a new tax credit for family leave or sick leave. If companies pay at least 50% of wages for family/sick leave, companies can receive a tax credit for a portion of those wages. This is available for C Corporations and pass-through businesses. If you are a fabricator or manufacturer serving the trucking, aircraft or telecommunications industry, you should expect a boost in production demand and here is why. Trucking will see a big impact from the tax cuts. US transportation companies will now have more money to upgrade their fleets. The bill increased deductions for capital spending which adds another incentive for companies that are looking upgrade. Aircraft will also be upgrading their fleets. Southwest Airlines Co. Chief Executive Officer, Gary Kelly said, “It’s a meaningful amount of additional cash that we’ll put to work buying more airplanes, modernizing our fleet sooner”. Telecommunication plans to increase capital investments by upgrading their networks. AT&T is looking to invent $1 billion more in US infrastructure next year. “This is a capital-freeing event,” said AT&T CEO Randall Stephenson. The National Association for Manufacturers’ (NAM) quarterly survey results show that manufacturers would create more jobs, make more investments and have bigger paychecks for employees. Companies have already started taking advantage of the tax reforms’ opportunity, Marlin Steel Wire Products President and Owner Drew Greenblatt said that his company has already hired 10 percent more workers to manage more than $1 million worth in new equipment the company plans to buy due to the new tax reform. Also, Southwest and American Airlines announced they will pay each employee $1,000 cash bonus due to the new reforms. Something to consider moving forward is your business’ entity status, going from S Corporation to C Corporation. The corporate rates are dropping under the individual rates. This maybe an opportunity for fabricators to review with an accountant and decide if switching makes sense. There is certainty that for the next five years, capital expenditure is at 100 percent. After that, it phases out and goes to 80 percent, 60 percent, 40 percent and 20 percent. The government was hoping to make the 100 percent expenditure permanent but it was not possible due to budgetary rule. The tax reform law isn’t perfect. Manufacturers and NAM will continue to work to advance additional reforms. NAM has called on the federal government to study the American tax code every three year to see how it compares to the rest of the world and how to improve. This law increases the United States’ competitiveness and strengthens the economy by offering reduced taxes for businesses. Companies are already making moves because of the tax reform whether is it through hiring new employees, paying their employees more or adding new equipment. As far as I can tell, the tax bill will be a great opportunity for fabricators to put money back into their businesses. What will your company be doing with these additional funds?